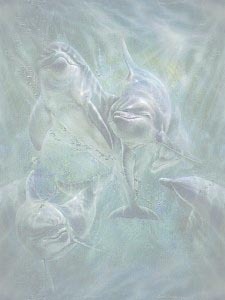 "Quietude - Midis From Dolphin*s Dream"
Moorea (A favorite of "LeProfessor") To visit his marvelous help site, "Click Here"
Mummer*s Dance (Loreena McKennitt) This was a special request tune. Carson*s Christian Midis* My heartfelf thanks to Carson Hall, the webmaster of this great site not only for for his beautiful music but for his permission to add them to my site. Frequent visitors to my "Midi Ocean" know that I only add the type of sounds that I feel are "music for the spirit". Carson*s beautiful music certainly is in that category. Starman, (who had the patience of Job, in finding the "finest" renditions of what I was searching for!) He didn*t want to be recognized, but I could not have done this page without his help! Actually a lot of these midis came from his personal collection. I think he is beginning to think twice about e-mailing me because I want every tune he has. He has however, most graciously allowed me to have them! To you, Starman goes "Huge Hugs"and gratitude! Paul129 - what can I possibly say about my very dear and trusted friend, Paul? 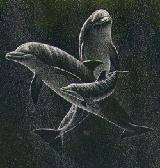 Let*s just say that in an ocean of hungry sharks, he is the dolphin who is always there to guide me through troubled waters to a safe haven! I can think of no greater compliment! He also just happens to have a terrific help site named "for Webtv beginners" Please do not let the name fool you - it is loaded with useful information for all of us! To visit his site, just "click here". You*ll be glad you did! I have created a separate Awards site to allow for faster loading of this midi site. Any new awards I am fortunate enough to receive, will be displayed here until (and) if I should be fortunate enough to earn another. To see the awards I have previously won, click the link below the latest award. 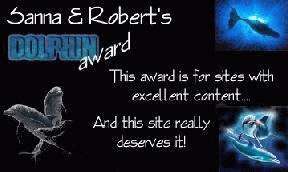 This award was received on July 15, from Sanna & Robert. My sincere thanks to both of them, for this lovely award.